Clifton Heights mayor Joseph Lombardo says residents don't want Upper Darby School District to build a new middle school on the only open field left in the borough. To leaders in the Upper Darby School District, building a $60 million, 950-student middle school on ball fields it owns in Clifton Heights is a no-brainer: It’s the cheapest site and the best geographic location to reduce classroom overcrowding that’s plagued the district for years. But a number of residents of the Delaware County borough of 6,500 don’t see it that way. More than 100, backed by community leaders, complained for hours at the school board’s February meeting that the plan would cram local roads with traffic while robbing Clifton Heights of its last open space for events like July Fourth fireworks and the Boys Club’s annual Cow Pie Bingo. The school board is slated to vote Tuesday night on the first phase of the project — a $2.5 million feasibility study — as well as preliminary studies for an expansion of Aronimink Elementary School, leading to a roughly $90 million first phase of a capital program to address packed and outdated schoolhouses. The brouhaha involving Upper Darby — one of the state’s largest districts — resembles the one in the affluent Lower Merion Area School District, which has also struggled with growing enrollment, overstuffed schools, and a lack of buildable space. Lower Merion’s plans to build and open a middle school by 2023 — including a highly unpopular and ultimately thwarted scheme that would have put ball fields at the newly opened Stoneleigh public gardens — have divided the community and may face a legal challenge. 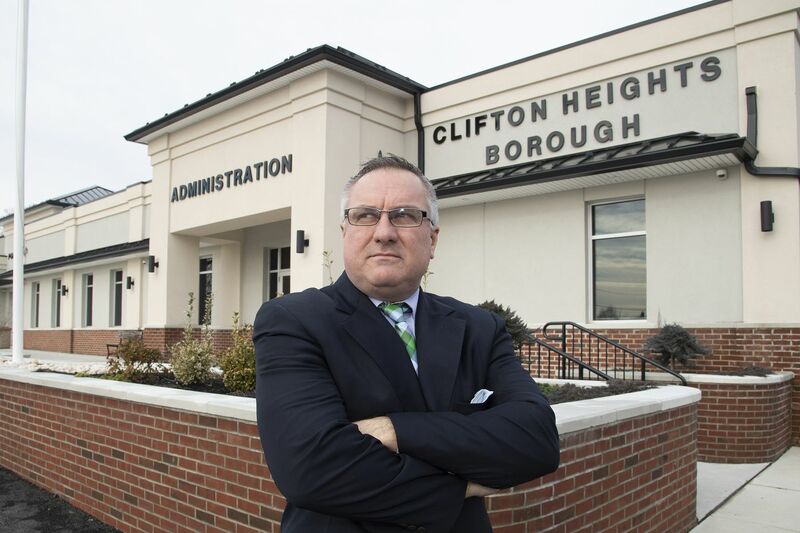 In Clifton Heights, leaders say resentment stems from what they perceive as broken promises to the borough from decades ago, when Upper Darby absorbed its tiny school district and leased back the playing fields for $1 a year. They also see a threat to the only green space in a postage-stamp-size, middle-class community. “This is all we have in Clifton, the last remaining land," said Steve Goetz, president of the Clifton Heights Boys Club, who is worried that building the 150,000-square-foot school could endanger not just his yearly fund-raiser, the Cow Pie Bingo, but Police Athletic League sports, an annual carnival, and other community events. Upper Darby’s acting superintendent, Daniel McGarry, said the plan for what would become the district’s third middle school is the only sensible alternative for easing overcrowding that has put more than 30 kids in some classes at the Drexel Hill and Beverly Hills Middle Schools. “We can’t fit the enrollment we have now," he said, let alone a projected slight uptick. He noted the district has erected 10 modular classrooms at Drexel Hillwhile busing elementary students to leased space at two schools, one outside the district. He said the only other option — increasing enrollment at Drexel Hill to more than 2,000 students — was not academically feasible. He voiced frustration with the opposition to the Clifton Heights site, saying many of the concerns were largely unfounded. The district says the completed school will include a multipurpose football-size field, four baseball diamonds, and two short-size soccer fields, as well as the indoor gym. McGarry said the district is also willing to work with local groups like the Boys Club on issues like insurance and ensure community events can still take place at the North Springfield Road site. Lombardo, the mayor, insisted that the school district is underestimating the environmental and other costs associated with building in the densely populated area, as well as traffic on already congested roads. He questioned the district’s claim of only eight buses arriving each day,, saying sarcastically, “What are they, double-decker buses like in London?” McGarry agreed that traffic is an issue. Local leaders said some mistrust stems from the mid-1970s absorption of Clifton Heights’ school district, which came with a promise from Upper Darby that the borough would always have a seat on the school board. That was the case until 2015; residents believe the middle school plan is a result of losing that seat.